The Ibanez GWB1 Gary Willis Signature model was introduced in 1999. Available in natural flat (ntf) or transparent black flat (tkf) finishes. The fretless GWB1 neck was 20.5mm thick at the first fret line marker, with 34" scale length and a bolt on All Access neck joint which allowed the easy access to the upper frets. This model was discontinued in 2005. Take the IBANEZ GWB1 price survey. 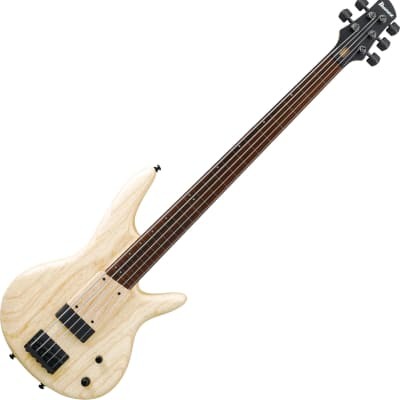 Buy IBANEZ GWB1 bass guitars.